For over 10 years, award-winning lifestyle company Candypants has mixed and remixed the rules of global partying in Europe and the Middle East. Today, the brand is the beat behind some of the world's wildest days and nights that aims to deliver a socially fun but crazy partying experience unlike any other. Candypants has produced over 300 events a year across the UK, Marbella, Dubai, Ibiza, Abu Dhabi, Miami with pool parties, brunches, beach parties, boat parties, dinner parties and club nights. 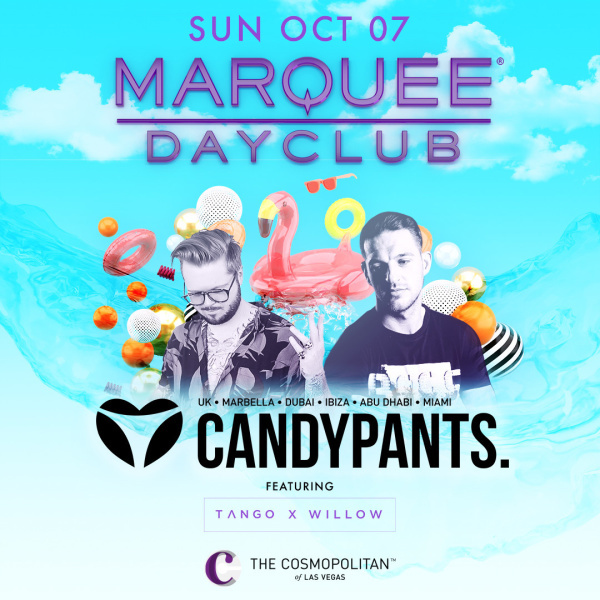 They make their debut in Las Vegas, the entertainment capital of the world, on Sunday October 7th at Marquee Dayclub!